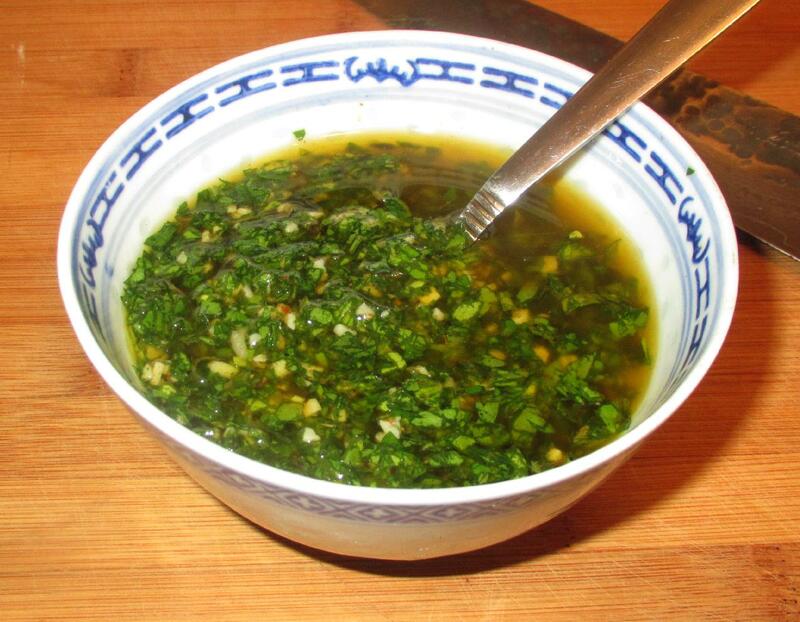 Chimichurri is an Argentinian preparation used with grilled meats. Though essentially a sauce, it is also used as a marinade and a basting mix as well as being served on top of meat at the table, or provided alongside as a dip. 4 tbsp. Red or White Wine Vinegar. First mash the garlic in a bowl along with the salt to release the juices and flavors. 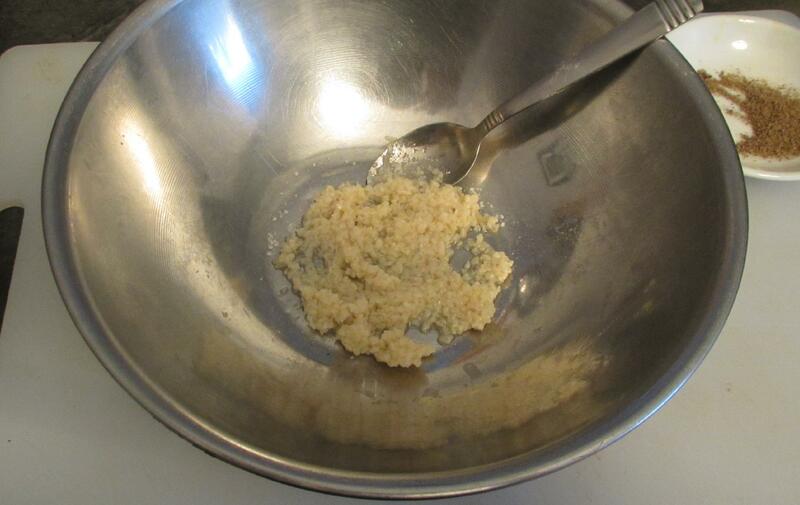 Now add all the remaining ingredients except for the oil and vinegar and bruise with a mortar. Mix everything together well. Transfer the solids to a suitable container and then add the oil and vinegar. Mix and refrigerate overnight to allow the flavors to meld. It will keep nicely, flavor-wise, for many days but the color will tend to deteriorate and darken after a day or two so you will want to use it, as a sauce or dip, at least, fairly quickly. 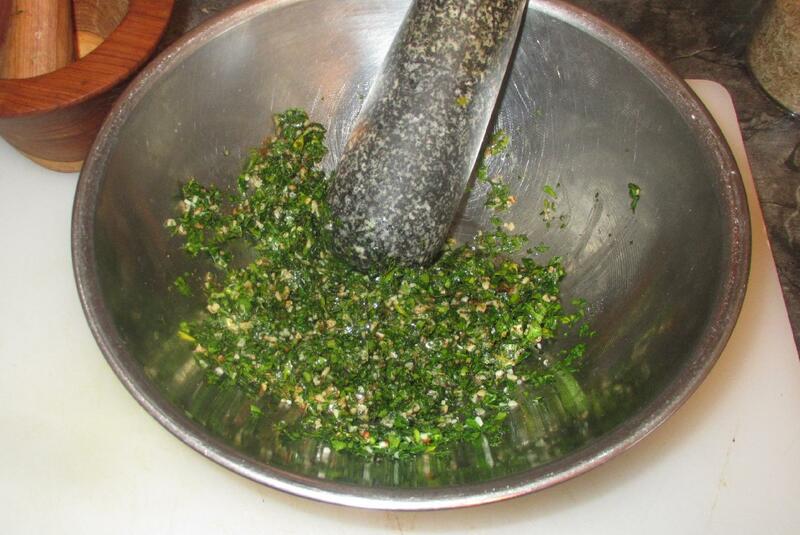 You have made the preparation of chimichurri very simple and inviting to those who do not know it. I have to admit to only using it some 5-6 years – yours is so logical and easy, I think my present recipe will be put at the back of the file 🙂 ! Thanks!! 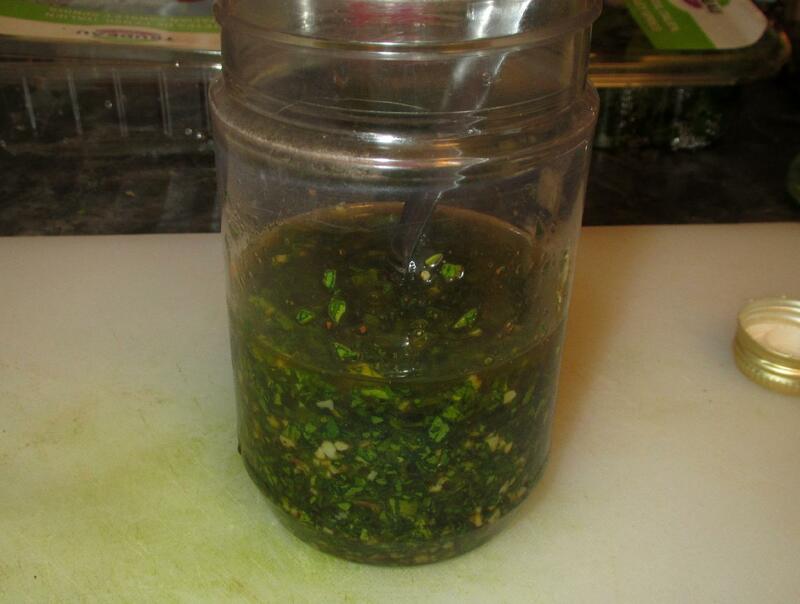 I love chimichurri and make it all the time. I will have to try your version with thyme as I use that herb a lot.